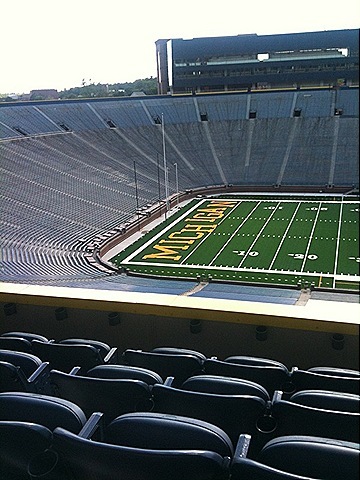 We posted a few weeks back about the new turf going in at the Big House this summer, and it seems that the time has come for said turf to be installed. Pics have been leaked of the work being done, but it seems now that the field is in, painted, and almost ready for action. All that's left is for someone to hopefully straighten the zany! 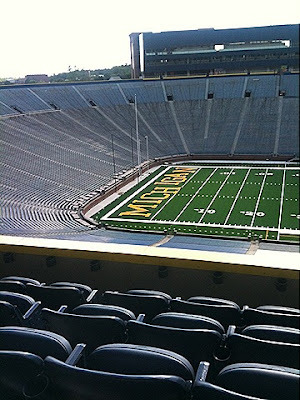 letters in the endzone and the glorious block-M at midfield. Props to Greg from MVictors for getting hold of some shots of the field and posting them today. Here's one of them, click over to his blog for the rest.